CLEAN AUTO HISTORY!!!!!! 1 OWNER!!!!!! 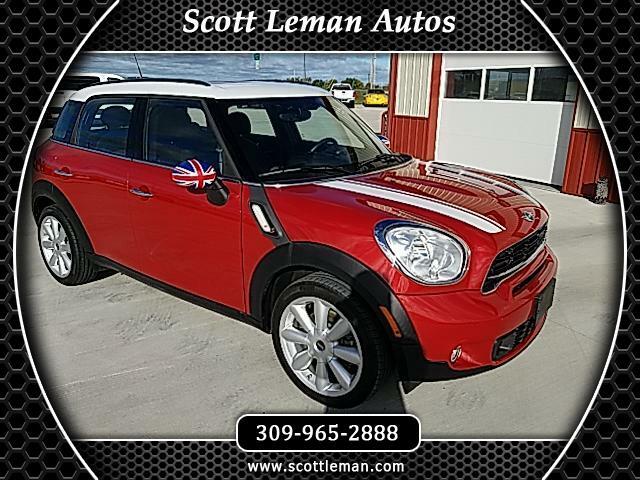 This is a beautiful 2015 Mini Cooper S Countryman. What a sharp looking car, with all the right features. Enjoy heated leather seats, huge power sunroof, sport mode, and so much more. With a turbo charged engine, this Mini is an absolute joy to drive, while still getting an impressive 32mpg highway. Clean inside and out, this is just a fantastic buy. Scott Leman Autos is located in Goodfield Illinois. Message: Thought you might be interested in this 2015 MINI Countryman.